Library management system, download library management system , LMS develop in Java , library system with source code , source code of library system , complete project develop in java library system , bachelor project of Library management system , semester project for student , develop a project for library system , automate library system Dev in JAVA + MS Access Database. 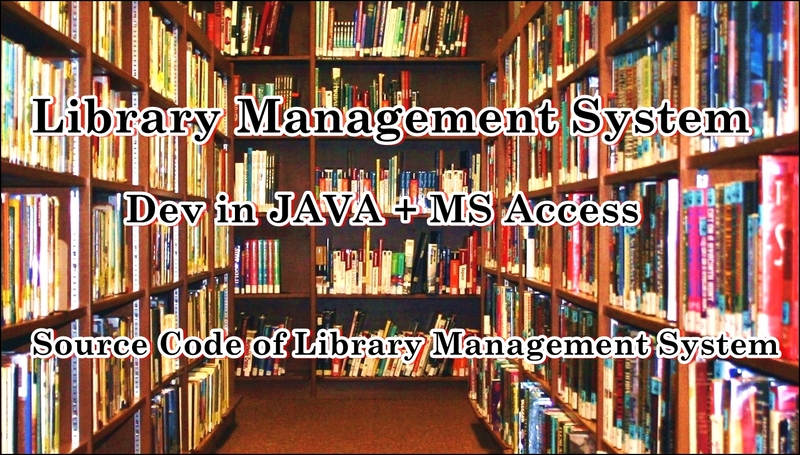 Library Management system is software to fully record library management system. Like how and which books are arrange on which shelves of library portion and which books are issued to students .To record the student data and their log . Student which are register to library through a sign ID. Library system provide login form to use it. After login admin have different panel in which he can issue books to student, record the date of issue book and when book should have to submit back. And after the due date student will be charge 5 rupees per day fine. Admin can register new student to the system and assign a unique ID .teacher of university can also be register. Book which new arrived will be first stored in our record and then start issuing to students. Admin can see all records which books are issued to students and how many times a book is issued. Admin of library system can also see vender detail and which books are purchase from which vender. Below is the demo example of Library management system. This is develop is java and data base Microsoft access. First all you need to download project from given below button. Connect data base LibraryMS given in project folder from control panel ODBC. After connect Double click on LibraryMS file in Dist folder of project.